Just a little over one year after 3,000 people were killed during political violence unrest in Ivory Coast, the country is experiencing more attacks against military forces. 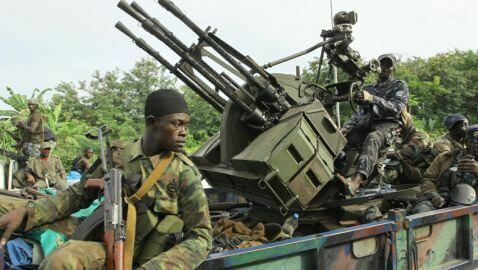 The gunmen, who have yet to be identified, attacked troops twice last week when they attacked checkpoints close to the Liberian border and security posts and a prison west of Abidjan, according to the Associated Press. Six soldiers were killed on August 6 when gunmen attacked a military base in Abidjan. They also stole weapons that included AK-47 rifles and propelled grenades. In just under two weeks six attacks have occurred in Ivory Coast. A total of 12 people have been killed, 11 of them soldiers. The new attacks have been blamed on the supporters of former President Laurent Gbagbo by Interior Minister Hamed Bakayoko. Also being blamed for the attacks are that many former fighters still have their weapons, which is taking longer to complete than expected. There is another program in operation that is attempting to disarm civilians, of which only a couple thousands weapons have been turned in to the government. Laetitia Dia Allou, a spokeswoman for the program, said that 3 million weapons are circulating across the country. 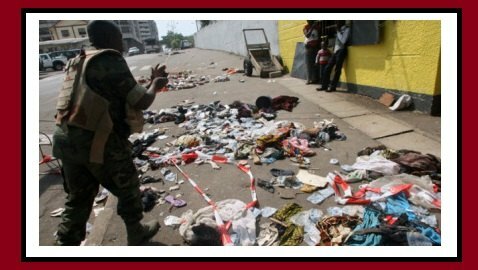 “State representatives may be so adamant that pro-Gbagbo forces are behind the attacks because they know or suspect that some of their own former supporters are also involved,” said Joseph Hellweg, an Ivory Coast expert from Florida State University. Just last week, the United Nations said that 100 people were arrested for suspicion of involvement in the attacks. Close to 32 of those arrested were released because of a lack of evidence.